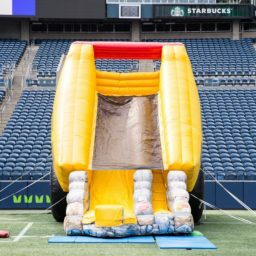 This is the perfect inflatable slide experience for any construction site themed child’s birthday party, school fundraiser, youth group event, or a child-friendly addition to your next company picnic. 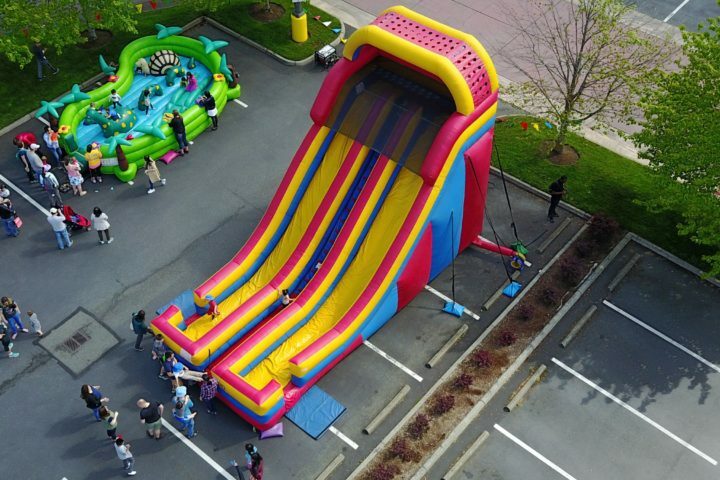 This Heavy Haulin’ Truck features a 19ft tall slide the perfect height for children of various ages and this slide can be installed at an indoor event with proper ceilings or at an outdoor event. Inflatable slides are one of the most magical things you can add to a child’s party! The fun of climbing an inflatable and then sliding down with a soft landing puts a huge smile on their faces! 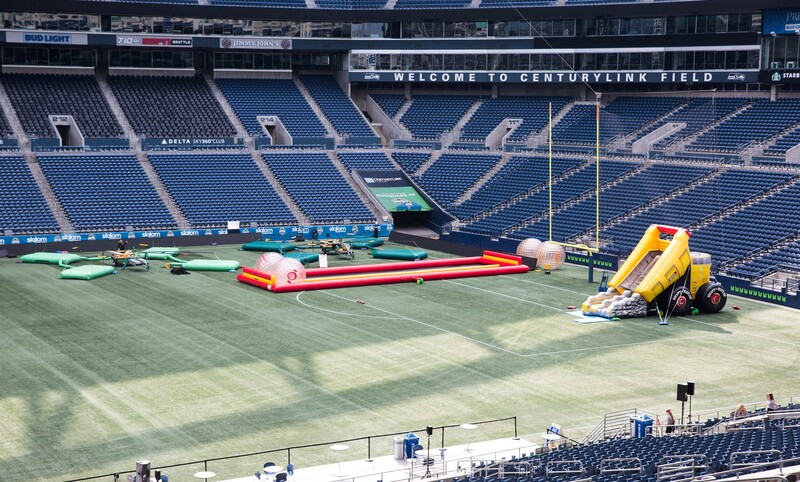 National Event Pros has a slide for nearly every occasion. From Fire Truck slides to dual-lane Western slides, we have quite a few to choose from. 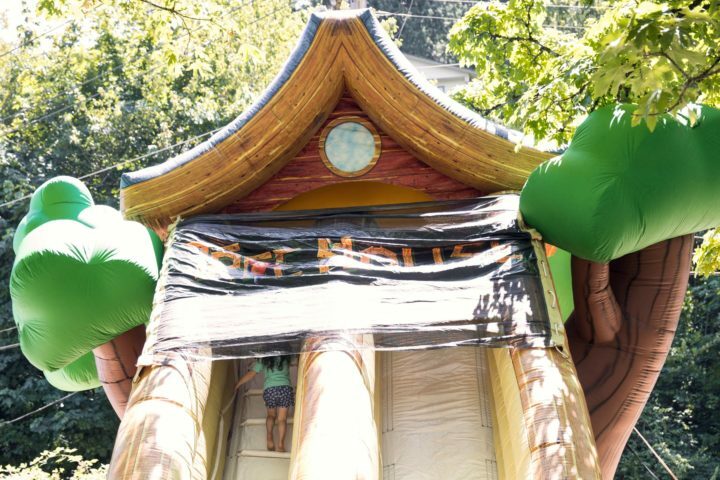 The inflatable tree house slide is every child's dream come true! From front to back, the tree house slide displays amazing craftsmanship and outstanding graphics. Participants climb up the staircase to reach the top of the 20' tall tree house, which sits on top of a gigantic tree trunk, and then slide back down to the bottom. This large, dual-lane slide offers high throughput and is a thrill for all ages. 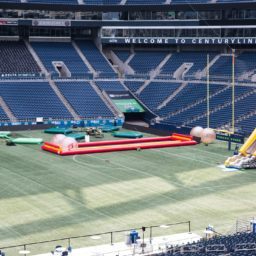 Perfect for all types of events, such as a corporate event, company picnic, or school carnival, this inflatable slide is sure to delight everyone!